Doctor Who Stars David Tennant (The 10th Doctor), Billie Piper (Rose Tyler) and David Morrissey (Jackson Lake) are all to star in a new Drama beginning on BBC One later this Month. 'True Love', The title of the drama, is described as 'BBC One's first improvised series' and explores five powerful and overlapping love stories set in the same town. 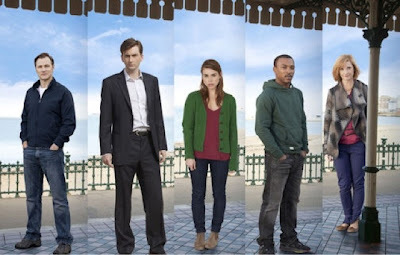 The first episode in the series centres on David Tennant's Character - Nick, who is happily married: his wife and children are everything to him, but when his first love appears out of the blue he starts to question everything. Could they go back to what they had all those years ago? 'True Love' begins Monday 18 June 2012 on BBC One and BBC One HD.